As a kid, my first real exposure to Batman came from the Adam West TV show. Even though I was growing up in the 80s, a few decades after the series first aired its impressive 120 episode run, I was lucky enough to catch them on reruns. 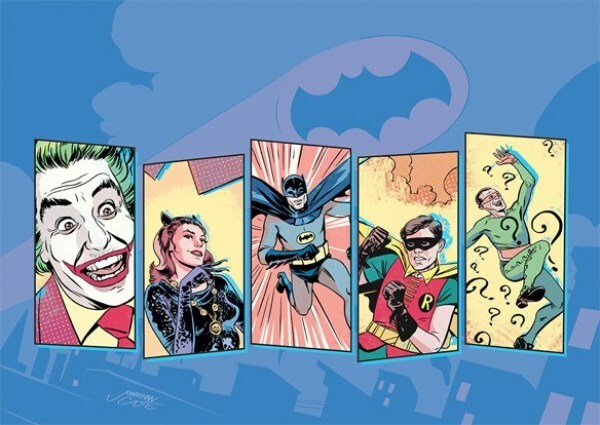 At the time, I just took the campy antics at face value, but still fully enjoyed watching the exploits of Batman, Robin and Batgirl as they took on The Joker, Riddler, Catwoman (or Catwomen, more accurately), Egghead and the rest. For years, the only way you could see these episodes was if they happened to be on TV as the home video rights were a tangled mess. 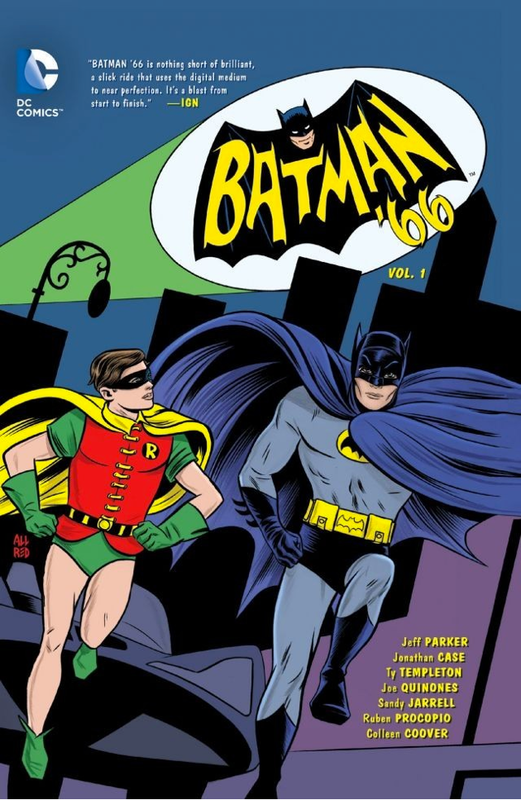 In the past few years, though, those rights have been detangled and simplified to the point where we now have Batman: The Complete Television Series , action figures and other collectibles and a comic book from DC called Batman ’66. I hope to get my hands on the full TV series at some point, but in the meantime, I’ve had a great time showing our three-year-old daughter a handful of episodes on TV as well as the movie, which she seems to enjoy. When it comes to my mission of finding comics that my kids will enjoy, a big part of that is coming up with kid-friendly versions of the characters I know and love that I can share with them. You might think Batman would be a difficult character in that regards because of the generally dark tone people take with him, but thanks to a variety of TV and cartoon tie-ins, there’s a surprising amount of offerings for the younger set. 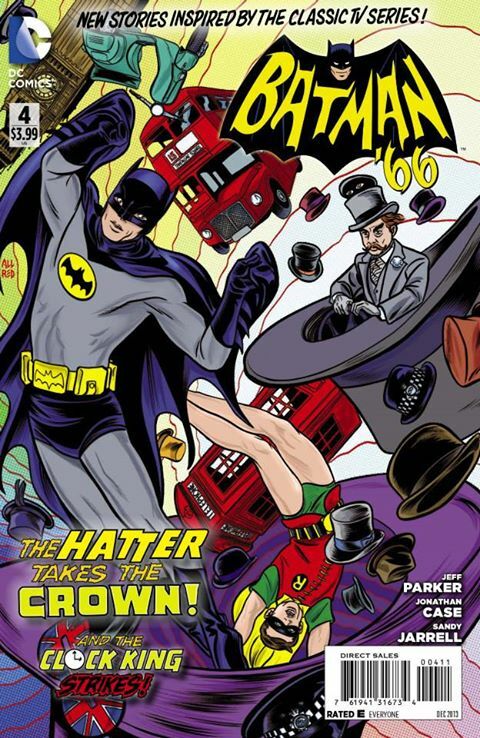 Overall, I’d say that Batman ’66 fits in with that group because writer Jeff Parker (who I’m a big fan of) does such an amazing job of fitting these stories so perfectly into the world fans of the show know and love. In fact, it’s impossible for me to read these stories without hearing Adam West and Burt Wards’ voices in my head doing the dialog. The artists assembled to draw these stories — Jonathan Case, Ty Templeton, Joe Quinones, Sandy Jarrell, Ruben Procopio and Colleen Coover — also do a killer job of matching the tone of that series with its bold, bright colors and general over-the-top nature while also mixing in the kinds of elements that would have blown the show’s budget like a British Batmobile, flying top hats and complicated airborne Egghead deathtraps. While my daughter wasn’t quite interested in sitting down and reading these issues with me (she hasn’t been into reading much the past month or so) she did love looking at the pictures and, when presented with a few different toon-based trades, quickly chose this version of Batman as her favorite. Aside from the usual elements seen in every incarnation of Batman — guns, fighting, criminals — I’d say that there’s very little to take issue with in Batman ’66. These are fun, short-ish, tight stories that pit lighthearted versions of these beloved heroes against a variety of villains. Even though my daughter isn’t overly familiar with these versions of these characters (yet), I’d say that she and other kids like her can easily jump into these adventures that will also entertain the parents or grown-ups reading them. 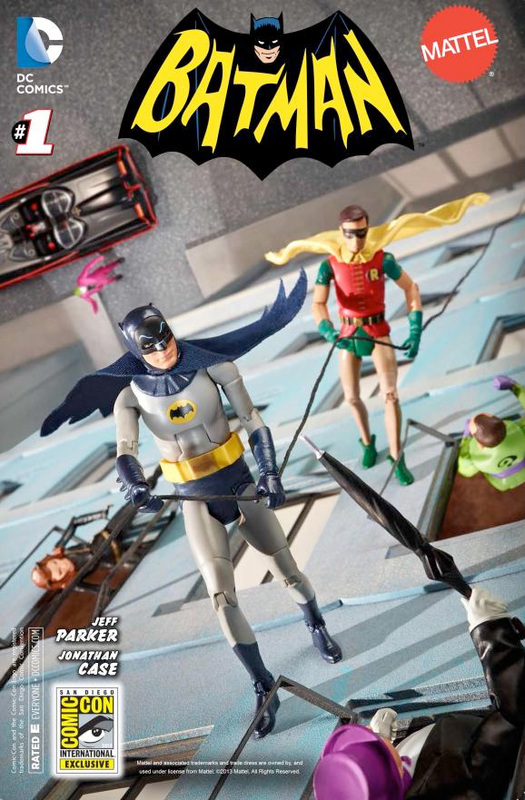 I f this sounds like the kind of thing you’d like to check out — either for your kids, or yourself — Amazon has Batman ’66 Vol. 1 in physical and Kindle forms. That book collects the first five issues of the series. 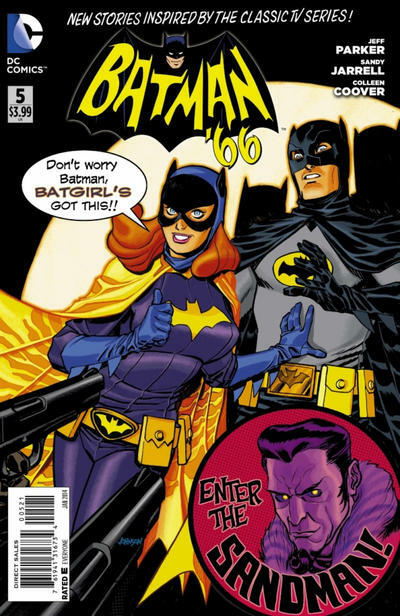 The series itself comes out first as a digital comic that can be purchased on Comixology. It’s been a while, but I read the first two issues in that format and they were a lot of fun and would also probably make for a fun reading experience with a kiddo or two! Now that I think about it, that might be a really great way to get kids interested in comics and these characters.